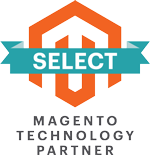 Rackspace has been an official partner of Magento since 2007. It is a leading provider of e-commerce solutions worldwide with cloud management and support. Rackspace has extensive experience in the Magento environment and provides in-depth knowledge of architecture, management, and infrastructure monitoring for maximum efficiency. 1 Fanatical Place City of Windcrest, San Antonio, Texas 78218, United States. View Map. Unit 5 Millington Road, Hyde Park Hayes, Middlesex UB 3 4AZ, United Kingdom. View Map. Level 1, 37 Pitt Street, Sydney, New South Wales 2000, Australia. View Map. Rackspace has been an official partner of Magento since 2007. It is a leading provider of e-commerce solutions worldwide with cloud management and support. Rackspace has extensive experience in the Magento environment and provides in-depth knowledge of architecture, management, and infrastructure monitoring for maximum efficiency. Rackspace understands the needs of online stores and builds hosting solutions for retail sites. Rackspace is honored to be the number 1 hosting provider for retailers. Give your store the best solutions to improve revenue, increase brand awareness, and deliver great customer experiences to your customers.